​Another day, another transfer rumour roundup. Sure, actual football is exciting and all that, of course it is, but is it as exciting as fantasising about player x at club x? Have a laugh. So, here's your transfer fix. 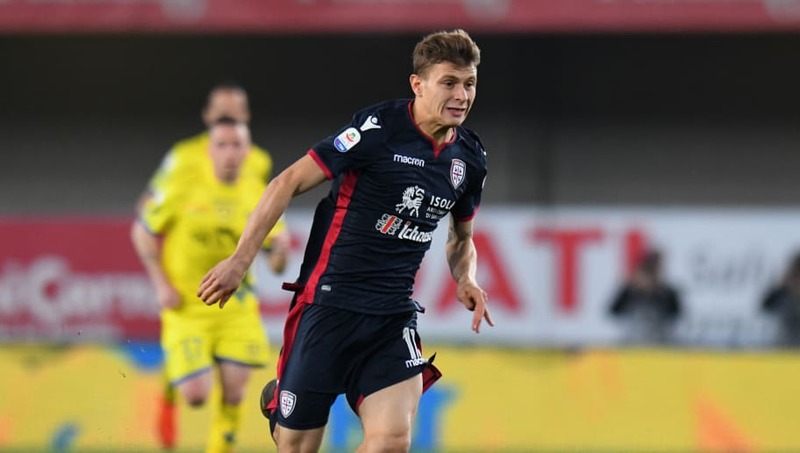 ​Arsenal's scouts were on their third reconnaissance mission to scout Cagliari and Italy hot-shot midfielder Nicolo Barella against Juventus on Tuesday night. And, racism in the stands aside (which seems to be a more and more prominent caveat in football these days), I'm sure they admired what they saw. According to Gazzetta dello Sport, as relayed by ​Football Italia, the Gunners are highly 'interested' in the 22-year-old Italy international, seeing him as a potential replacement to Aaron Ramsey - who will be present in this fixture the next time they meet - while the player himself 'appreciates' their recurrent scouting. Essentially, we've finally got the sequel to 'When Harry Met Sally': 'When Nico Met Gunnersaurus'. The first leg of the Taca de Portugal Lisbon derby semi final occurs on Wednesday night, and a host of Europe's premier scouting representatives have secured seats for the clash. And sure, Sporting CP and Benfica are two great sides, with some great talent, but they aren't there for the spectacle. They're there for one man: Bruno Fernandes. That's Bruno 25 goals and 14 assists from 44 games in midfield Fernandes to you. And, to ​Juventus, that's Bruno summer transfer target Fernandes, according to ​​Tuttosport. I Bianconeri will face considerable competition from a number of big players in the European market, including Manchester United, who will undoubtedly be in attendance having traversed across the country rain or shine for most of this season, but are hoping his previous experiences in Italy with Udinese and Sampdoria might tempt him their way. ​Arturo Vidal has played 41 times across competitions for ​Barcelona since joining from Bayern Munich in the summer. That's a lot of gametime for someone who still seems consigned to the periphery. But, according to ​Fox Sports, the Chilean could be back front and centre at a club once more in the near future, at least if Boca Juniors have anything to do with it. The Argentine club are apparently desperate to lure the 31-year-old back to South America, with talks set to start between the two parties in the coming weeks. Hugo Lloris' last-gasp blunder against Liverpool was one too many for ​Tottenham, and the Lilywhites are now looking to replace the World Cup-winning captain with Lazio's Thomas Strakosha. According to the ​Sun, the precocious 24-year-old, who has 10 clean sheets from 35 games this season, is seen as a long-term replacement for the Frenchman, who's seen as many gaffes this year as Dion Dublin. That's a 'Homes Under the Hammer' joke. Anyway, with his contract not set to expire until June 2022, the Albanian would cost around £35m, also known as one two-bedroom flat in London. Pedro is a confounding player at times, but he is also undeniably a talented and hardworking one. He is also probably the best natural finisher ​Chelsea have got right now. All of which is to say, the current 'crisis' at Stamford Bridge could be set to get a whole load more 'crisisier'. According to the ​Express, both Inter and AC Milan have been sniffing around the 31-year-old Spaniard and his inordinately sized trophy cabinet. And, at that age and with a contract that's set to expire in June 2020, he could go for an all-too-fair fee, too.